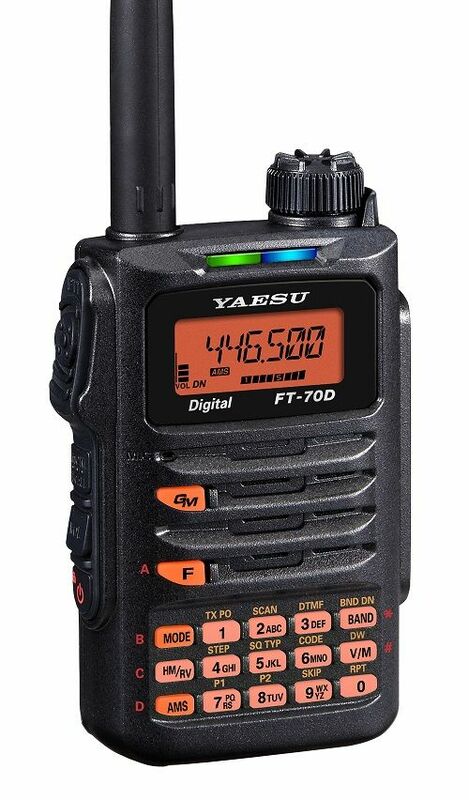 Yaesu FT 70 DE The new FT-70DE is a compact and very attractively priced Yaesu System Fusion transceiver providing both conventional analog FM operation and the advanced C4FM Digital mode. 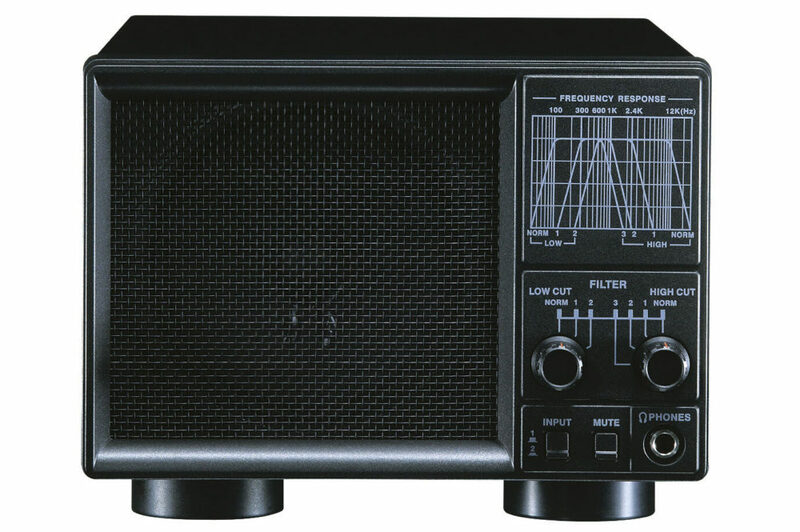 The FT-70DE provides upt o 5W of reliable RF power, and it’s large front speaker delivers 700mW of audio output. C4FM has better Bit Error Rate characteristics than other digital modulations the user can expect exeptional audio quality. 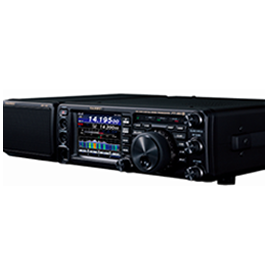 the new digital FT-70DE includes Yaesu’s unique Automatic Mode Select (AMS) function. AMS detects the operating mode of the recieved signal as C4FM digital or analog FM, and then automatically and instantly switches the reciever to the appropriate mode. Users do not need to manually change between the nodes. The multi-coloured LED mode-indicator displayed on the front allows the operator to easily see what mode the FT-70DE is in any given moment. LED Mode-Indicator clearly and visibly shows the transmit/recieve mode by changing its colour so that the operating mode of the transceiver is easily recognised at a glance. 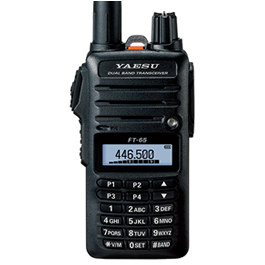 One of the other distinguishing features of the FT-70DE is a Digital Group Monitor (GM) with DG-ID and DP-ID. 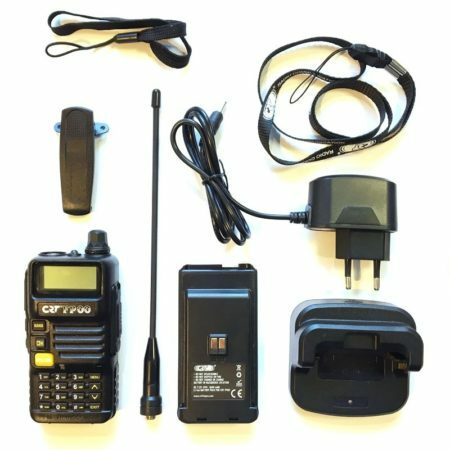 DG-ID (Digital Group Identification) and DP-ID (Digital Personal Identification) are useful features now included in the FT-70DE, to simplify the GM operation. 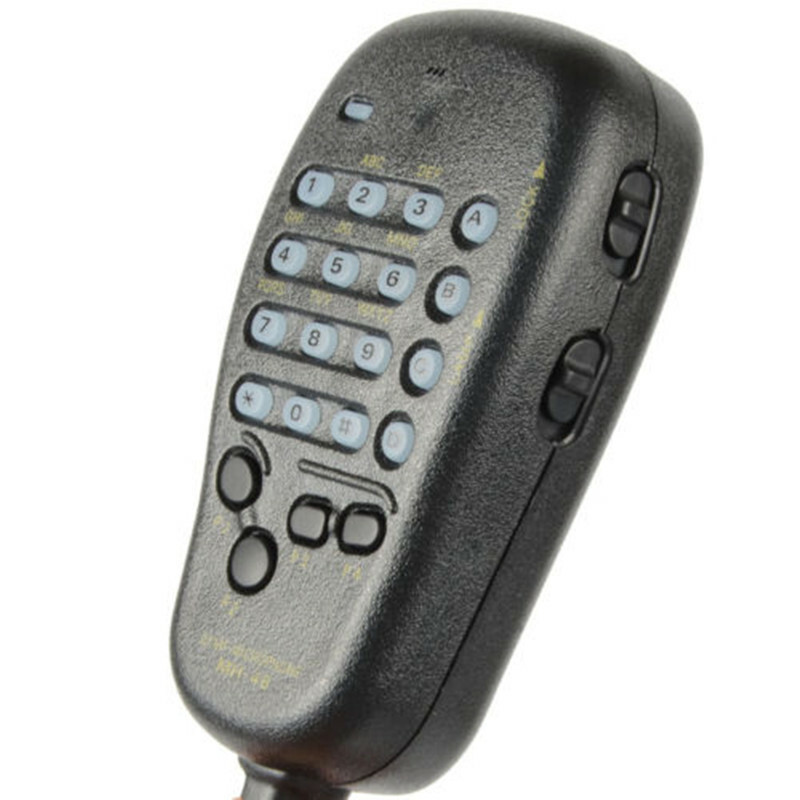 Simply put, the transceiver selecting the same DG-ID or DP-ID can communicate with each other. Between 00 and 99 DG-ID and DP-ID are selctable; which provides loads of flexibility so that users can enjoy group communication with friends in GM mode in accordance to their individual operational needs. 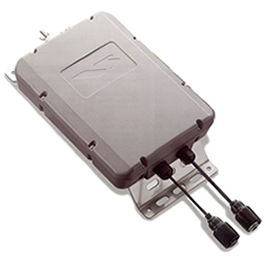 Other included standard features and functions are; IP-54 Rating (Dust/Water Protection) construction, wide band recieve coverage of 108-579.99.5MHz, Versatile Scanning Capabilities such as Programmable VFO Scan, Memory Scan, and Priority Channel Scan, External DC Jack for DC supply operation and to Charge the battery, Mini USB port for convienent programming the software updates, CTCSS/DCS Operation, Automatic Power Off (AFO) feature, RF Squelch, Transmitter Time Out Timer (TOT) and Busy Channel Lock-Out (BCLO). 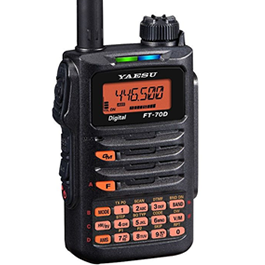 Yaesu FT 70 DE Amateur Radio Shops HAM Radio Dealer Supplier Retailer.